NATO chief Anders Fogh Rasmussen says President Bashar al-Assad’s military has fired more Scud-type missiles inside Syria. President Bashar al-Assad’s military has fired more Scud-type missiles inside Syria, NATO officials said on Friday, more than a week after the Western alliance first detected such arms being used on rebel targets. A NATO told Reuters that there had been multiple launches of Scud-type missiles inside Syria on Thursday morning. Rasmussen used the Scud launches to justify NATO’s decision to dispatch Patriot anti-missile systems to NATO ally Turkey – a deployment criticized by Syria, Iran and Russia. “The fact that such missiles are used in Syria emphasizes the need for effective defence protection of our ally Turkey,” he told reporters after talks at NATO headquarters with Djibouti Prime Minister Dileita Mohamed Dileita. “The recent launch of missiles has not hit Turkish territory but of course there is a potential threat and this is exactly the reason why NATO allies decided to deploy Patriot missiles in Turkey, for a defensive purpose only,” he said. Meanwhile, in Damascus, Palestinian refugees streamed back to the Yarmuk camp after a reported deal to keep it out of the conflict, following fierce clashes earlier this week and briefly on Friday. An AFP correspondent heard sporadic shooting, and a main road was blocked with boulders to keep out cars, although a van full of passengers still entered through a side street. The fighting forced about 100,000 of Yarmuk’s 150,000-strong population to flee, with many taking refuge in Damascus parks and squares, said the U.N. Relief and Works Agency for Palestinian refugees. Hours after they returned on Friday, fighting again flared in the camp for about an hour and a half, said the Syrian Observatory for Human Rights. “The fighting pitted anti-regime Syrian and Palestinian rebels against members of the pro-regime popular committees,” said Observatory director Rami Abdel Rahman. The clashes were between fighters who had not withdrawn from Yarmuk despite a reported agreement after talks that began on Wednesday aimed at removing both rebel and government fighters from the camp. Newspapers in neighboring Lebanon said an agreement had been reached under the auspices of Mokhtar Lamani, the representative of U.N.-Arab League peace envoy Lakhdar Brahimi. The U.N.’s World Food Program said it was to start providing food to 125,000 “vulnerable Palestinians and displaced Syrians” in and around Yarmuk. Elsewhere, violence raged in flashpoints across Syria, with the Britain-based monitor saying at least 82 people were killed. And a rebel attack on an electricity pylon caused a power outage in several areas of Damascus, state television said. Despite the violence, protesters took to the streets in several anti-regime areas, renewing calls for the fall of President Bashar al-Assad’s regime, it said. Russian President Vladimir Putin said Moscow does not want “chaos” in Syria — 21 months into an anti-regime revolt that monitors say has claimed more than 44,000 lives — and that it looked forward to seeing a democratic regime there. Caritas is concerned that people in Gaza cannot meet their basic needs following the November conflict between Israel and Hamas. The Caritas confederation is launching a £1.3million appeal to help vulnerable families who lack access to healthcare, are financially insecure and are unprepared for winter. “After so many years of suffering, Gazans need the chance of a new beginning in which an era of peace reigns. As Christmas approaches, we mustn’t forget that Gaza lies not far from Bethlehem, the birthplace of the Lord. Let this fact inspire us to accompany Gazans in our thoughts, deeds and prayers, wherever we may be,” said Michel Roy, secretary general of Caritas Internationalis. Efforts to help those in difficulty will be focused on areas including health, hygiene, counselling and providing cash assistance to people who have economic problems. Four hospitals will receive medical supplies to boost their ability to treat those injured in the war. Families will receive first aid kits and tips in basic first aid. Caritas will continue to also give help through its medical centre and mobile clinics. Counselling is a big part of Caritas Jerusalem’s work in Gaza. Many people are still bearing the trauma of the war and need help in overcoming it. Caritas will provide counselling for over 2000 people and psycho-social activities to improve the well-being of 1000 women and children. Other initiatives will include providing people with basic household assistance, hygiene items and artificial limbs for those whose bodies have been irreparably damaged by the war. More than 114,000 Gazans will benefit from Caritas’ help over the course of 7 months. Gazans were already suffering a grave humanitarian crisis before the war began. Over 1.5 million people live in the most densely-populated area on earth and due to frequent goods blockades, the supply of food, water and many essentials is erratic. The November war destroyed or damaged many buildings, including schools and hospitals, and led to severe shortages of drugs and essential medical supplies. The power supply is also unstable. On a recent trip by Caritas Jerusalem staff to Gaza, secretary general, Claudette Habesch, highlighted the need for increased developmental projects in the Strip, especially regarding water and agriculture. ALEXANDRIA, Egypt — Supporters of President Mohammed Morsi and his opponents hurled rocks at each other in Egypt’s second city on the eve of a final vote on a new constitution shaped by Islamists. Police fired tear gas as scores of opponents of the constitution and thousands of Islamists hurled rocks across a security cordon separating them near a mosque in Alexandria that was the focus for violence last week. “God is great,” Islamists chanted when the clash began. The Egyptian Ministry of Health said at least 55 people were injured in the clashes near the al-Qaid Ibrahim mosque in Alexandria, state media reported. The Islamists had gathered in support of an Islamic vision of Egypt’s future a day before a second round of voting in a referendum on the basic law. Opposition supporters had also turned out as worshipers assembled for Friday prayers. Morsi and his Islamist allies back the draft constitution as a vital step in Egypt’s transition to democracy almost two years after the fall of Hosni Mubarak. The opposition says the draft, drawn up by an Islamist-dominated assembly, is a recipe for deepening divisions and more violence. The Muslim Brotherhood called for the mass gathering in Alexandria to protest after a violent confrontation between Islamists and the liberal, secular opposition last week ended with a Muslim preacher besieged inside his mosque for 14 hours. Rival factions had used clubs, knives and swords last week, but this time police kept the feuding sides apart, although witnesses saw several protesters and one police officer being helped away. Some protesters had head wounds. The run-up to the final round of voting Saturday on a new constitution has been marked by often violent protests that have cost at least eight lives. The first round on Dec. 15 produced a yes vote that is expected to be repeated in the second round. Lines of riot police cordoned off Alexandria’s al-Qaid Ibrahim mosque, scene of last week’s violence. Islamists chanted pro-Islamic slogans while a smaller group of opponents gathered nearby, chanting against Morsi, propelled to power in a June election by the Muslim Brotherhood. “The people want the implementation of Shariah,” the Islamist sympathizers shouted, in a show of support for Islamic law. “Our souls and blood, we sacrifice to Islam,” they shouted. In one incident, an Islamist filming anti-Morsi protesters was grabbed and roughed up. Islamists on the other side of a security cordon pushed and shoved police trying to reach him. The opposition, facing defeat in the referendum, has called for a no vote against a document it says is too Islamist and ignores the rights of women and minorities, including the 10 percent of Egyptians who are Christian. Opponents of Egyptian President Mohammed Morsi clash with Islamist supporters of the president,as a cordon of riot police separates the groups in Alexandria, Egypt, on Friday. GAZA CITY (Ma’an) — The Fatah movement will not accept any location to hold its anniversary celebration except Gaza City’s al-Katiba Square, member of Fatah Revolutionary Council Abdullah Abu Samhadana said Friday. In a statement, Abu Samhadana wondered why Hamas opposed organization of Fatah anniversary ceremony at al-Katiba Square. “While the Palestinian Authority allowed Hamas to celebrate its 25th anniversary in the West Bank the way Hamas wanted including rallies across the West Bank, Hamas rewarded that by preventing Fatah from holding its anniversary ceremony at al-Katiba Square where all Palestinian factions celebrate their anniversary,” Abu Samhadana added. The Hamas-run government does not have the right to set the time and place for the festival “marking the takeoff of the Palestinian revolution.” He added that opposing the festival at al-Katiba Square is another way of banning the festival. A UK lawsuit claims that Israel boycott advocacy in the University and College Union constitutes institutional anti-Semitism. In October and November, a London court heard a case with potential consequences for the Palestine solidarity movement and for trade unions’ gradual adoption of the campaign for boycott, divestment and sanctions against Israel. The director of Academic Friends of Israel is suing his own union in an employment tribunal. Ronnie Fraser accuses the 120,000-member-strong University and College Union of “institutional anti-Semitism” after its congress passed motions calling for members to discuss the Palestinian call to boycott Israeli universities. The suit is part of a “lawfare” strategy that anti-Palestinian groups are resorting to, having effectively lost the debate around Israel boycott measures in the unions several years ago. Sue Blackwell, a University and College Union activist and former national executive member who has been vocal in the boycott, divestment and sanctions campaign, said Fraser would lose because “there is not a shred of evidence” to support his claims. Even so, “he will have caused UCU a huge headache in terms of money and resources,” she said. A judgment is not expected until March or April 2013, but The Electronic Intifada was in court in November to watch four days of the three-week hearing. The University and College Union was formed by a merger of two smaller unions in 2006. The two were the first unions in the UK to discuss a boycott of Israeli universities. So it’s no surprise to find anti-Palestinian groups attempting to fight the union with the usual tactics of bogus accusations of anti-Semitism. Leading figures from pro-Israel groups testified in support of Fraser. They included Denis MacShane (a Labour Friends of Israel stalwart recently forced out of parliament over an expenses scandal), Jeremy Newmark of the Jewish Leadership Council, and several activists from Engage, a group created to combat boycotts of Israel from an ostensibly left-wing position. Fraser’s team was led by Anthony Julius, a lawyer from high-flying firm Mishcon de Reya. In the 1990s he negotiated Princess Diana’s £17-million (then around $22.5 million) divorce settlement. Julius’s strategy seemed to be a scatter-shot approach involving multiple allegations. In court on 6 November, this writer was permitted to view the “amended grounds of defense” document submitted to the court by Antony White, the head of the union’s legal team. Despite requests in person, on the phone and over email, Julius and his team failed to provide the “grounds of complaint” document, or any other material, to The Electronic Intifada. However, the general grounds of the lawsuit were set out in a letter from Julius to the union’s secretary-general, and made available on Fraser’s website (Letter sent to UCU on behalf of Ronnie Fraser, 1 July 2011, Academic Friends of Israel website [PDF]). The letter complained that “UCU is not a place that is hospitable to Jews” and that its “year-on-year anti-Israel boycott resolutions” offered proof of such hostility. The issue of potential academic boycott of Israel has been ongoing in the union for years. Several University and College Union motions have been passed that “encourage members to consider the moral implications of existing and proposed links with Israeli academic institutions” and to circulate to members the text of the Palestinian Campaign for the Academic and Cultural Boycott of Israel’s 2004 call to boycott Israeli academic institutions (see Motion 30: Composite: Boycott of Israeli Academic Institutions, UCU Congress 2007). However, mainly because of a backlash engineered by pro-Israel pressure groups, the union has never taken solid practical measures to implement such a boycott. But Fraser, according to White, had not in fact spoken. He had tried to intervene, but was rebuffed by the chairperson. White said this was one of “a series of false allegations” in Newmark’s witness statement, and submitted an audio recording he said proved the chairperson was “scrupulously fair,” and that there was no booing. Newmark said the microphones might not have picked up the booing, but insisted there was “an atmosphere” in the room. On the final day in court, Julius argued that given how Fraser had decided to remain in the University and College Union he was “not quite the Last of the Mohicans,” but suffered fear, distress and “a certain panic” as a result of Israel boycott advocacy in the union. Congress 2011’s rejection at of a discredited “working definition of anti-Semitism” is considered by Newmark to have been the “tipping point” that led to this suit. However, the union’s legal team, led by lawyers and full-time union officers, not by boycott, divestment and sanctions activists (none of whom were called as witnesses), asserts that this is a free speech case. The document states that the union has never implemented a boycott of Israel, but argues that European law “protects even the right actually to campaign for a boycott of Israel” as upheld by the Scottish ruling. The defense argues that the union’s differences with Fraser have been over his pro-Israel stance, as he was a “spokesperson” for the anti-boycott campaign, and have nothing to do with his religious identity. The union’s legal team head Antony White accused Fraser and some of his witnesses of false testimony. In his final submissions, he said they failed to engage with the facts. They showed a “consistent pattern of either exaggeration or misleading evidence,” said White, giving several examples. One witnesses was David Hirsh, founder of the anti-boycott group Engage. On 5 November, White put it to Hirsh that the Board of Deputies of British Jews and the Jewish Leadership Council “has been funding Engage to the tune of £50,000 [$81,335]” over three years. The Fair Play Campaign Group was used to channel this funding, according to Fraser’s evidence. Hirsh denied this, as did Jane Ashworth, also with Engage, during cross-examination later the same day. Both said Fraser must have been mistaken. The following day, the Jewish Leadership Council’s Newmark also denied it. Similar claims emerged in March, when a pro-Israel blogger complained the scheme was “deeply dishonest” and that Engage’s “credibility as a radical left group opposing the boycotters … would have been shot to shreds” if the Board of Deputies funding had been publicly known. When The Electronic Intifada contributor Ben White discovered this in April, he put it to Newmark, who replied the blogger was “a bit ‘confused,’” but didn’t deny the substance. Hirsh’s testimony involved a lot of long-winded speeches, causing Employment Judge A. M. Snelson, the tribunal’s chair, to prompt him more than once to keep his answers as short as possible. Hirsh came very close to accusing Antony White himself of anti-Semitism during the hearing, saying of his line of questioning that “I think that’s a real problem” and claiming he represents an anti-Semitic union. Engage’s Jane Ashworth has never been a member of the union, but claimed to have witnessed an anti-Semitic incident at the union’s 2008 congress. She too came close to accusing White of anti-Semitism, saying she was concerned White was talking about “well-funded” groups. “Engage had no money from the FPCG [Fair Play Campaign Group]. Period,” she claimed. White put it to her that Engage had promised the pro-Israel Board of Deputies to “engage with the left to get a successful result at congress.” In other words, to defeat moves for discussion of the Palestinian call for academic boycott. White put to Ashworth another of the central points of his case: that Jewish union members had debated at congresses on both the pro- and anti-boycott sides. Differences with Fraser were political, not related to his ethnicity or religion. Ashworth claimed that Jews who supported a boycott were not “mainstream Jewish members” of the union. The incident Ashworth claimed to have witnessed was intensely disputed. Ashworth and Jeremy Newmark of the Jewish Leadership Council were at the 2008 union congress and had vendors’ passes, but were not delegates (or even members). So they were not supposed to be on the congress floor where debates and voting took place. She must have “sneaked in,” White put it to her. “It’s common practice,” Ashworth claimed. She said Newmark, wearing a kippah (skull cap), was barred by union official Matt Waddup because he was identifiable as a Jew. She also claimed Waddup shoved her. “You’ve just made that up,” White countered. Ashworth insisted she was telling the truth but, being inconsequential, she had not mentioned it before. “Jeremy was Jew-baited,” claimed Ashworth. What really happened was quite different, White said. Newmark had tried to push his way in and, lacking the right credentials, Waddup had refused him entry. Newmark from the Jewish Leadership Council took the witness chair on 6 November. “It’s very easy to resort to the stereotype of the pushy Jew, trying to push their way in” to the congress hall, he said, implying White was an anti-Semite. Outside court, Antony White said he could not speak to journalists. The judges are scheduled to meet in January to work on a draft verdict. They will meet again in February or early March, and the final judgment will be handed down 28 days later. The verdict will be closely read by activists in Britain and beyond. The case is about an attempt to stifle freedom of expression and roll back the progress of boycott, divestment and sanctions in the unions. Derek Keilloh has been struck off by the GMC after being found guilty of misconduct over the death of the Iraqi detainee Baha Mousa. A former army doctor found guilty of misconduct by medical watchdogs over the death of an Iraqi man who was tortured to death by British soldiers has been struck off the register. Derek Keilloh was found to be unfit to continue to practise after a panel concluded that he acted in a dishonest way after the death of Baha Mousa in September 2003, and had failed to protect other men who were being mistreated at the same time. The Medical Practitioners Tribunal Service, part of the General Medical Council (GMC), announced “with regret” on Friday that the only “appropriate sanction” was banning him from working as a doctor. Mousa died after being forced into stress positions and beaten for 36 hours by soldiers of the Queen’s Lancashire Regiment. A postmortem examination showed he had suffered 93 separate injuries, including fractured ribs and a broken nose. Injuries suffered by Baha Mousa.Keilloh, 38 and currently a Yorkshire GP, had been a medical officer with 1 QLR. After failing to resuscitate Mousa he claimed he had seen no injuries, noticing only dried blood around the dead man’s nose. He then sent two other detainees back to the room where they had been repeatedly assaulted, and where they continued to be mistreated throughout the night. The panel recognised that Keilloh did not harm Mousa and did what he could to attempt to save his life, in a setting that was “highly charged, chaotic, tense and stressful”. But they ruled he must have seen the injuries and, as a doctor, had a duty to act. The panel’s members found that Keilloh had engaged in “repeated dishonesty” and “misleading and dishonest” conduct, lying to army investigators about the injuries and, in sticking to his story, giving false evidence in subsequent courts martial and a public inquiry. The panel also said Keilloh, knowing of Mousa’s injuries and sudden death, did not do enough to protect his patients, the other detainees, from further mistreatment – breaking a “fundamental tenet” of the medical profession. Keilloh has 28 days to appeal. 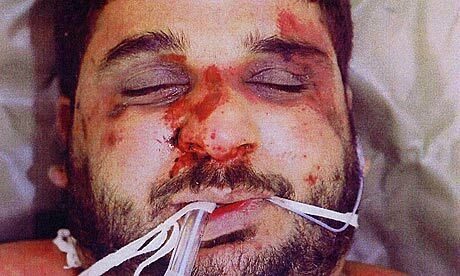 Mousa, 26, a hotel receptionist and father of two young children, was arrested in September 2003 by British troops who believed, wrongly, that he was an insurgent involved in the killing of four of their colleagues the month before. A public inquiry led by Sir William Gage concluded that Mousa’s death was caused by one final assault by his guards following 36 hours of mistreatment. The inquiry’s report strongly criticised the “corporate failure” by the Ministry of Defence and the “lack of moral courage to report abuse” within Preston-based 1 QLR. It named 19 soldiers who assaulted Mousa and other detainees, and found that many others, including several officers and the regiment’s padre must have known what was happening. 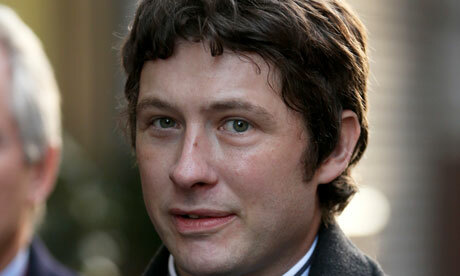 Before the inquiry’s report was published, the MoD briefed journalists that Gage had found no evidence of systemic abuse by British forces holding and interrogating Iraqi prisoners. In fact, the judge concluded that “there is more than a hint that hooding, if not other conditioning practices, was more widespread than in just 1 QLR”, but said he was unable to investigate just how widespread. While the inquiry was in progress, the Guardian disclosed that all three branches of the British military had continued to train interrogators in techniques that included threats, sensory deprivation and enforced nakedness, in apparent breach of the Geneva conventions. A video still of a British soldier with hooded Iraqi detainees that was played to the Baha Mousa inquiry.The decision on Keilloh comes 24 hours after the MoD said it had paid out £14m in compensation and costs to hundreds of Iraqis who complained that they were illegally detained and tortured by British forces during the occupation of the south-east of the country after the 2003 invasion. Human rights groups and lawyers representing former prisoners are pushing for a public inquiry into British detention and interrogation practices in Iraq, which would trace responsibility for the abuse up the military chain of command and beyond, and shed light on the role played by military physicians. Phil Shiner, the lawyer representing Mousa’s family, said after Keilloh was struck off that “the medical profession is well rid of such a man”. Indicating that legal action was being contemplated against other military physicians, he said: “All those UK doctors in Iraq who also saw signs of ill-treatment of Iraqi detainees but took no action had best start to instruct lawyers”. About 135 of the Iraqis who complained that they suffered severe mistreatment under British detention say they were examined by a doctor before interrogation. Many have alleged they suffered injuries – including fractures – when first detained, but that the doctors paid no attention to their wounds, and instead checked their heart rate and breathing before questioning. Video evidence of some of the interrogations conducted by a shadowy military intelligence unit called the Joint Forward Interrogation Team (JFIT) supports allegations that detainees were starved, deprived of sleep, subjected to sensory deprivation and threatened with execution. Former JFIT detainees and their lawyers believe the British military doctors were examining prisoners before interrogation to establish that they would survive the ordeal ahead. In December 2010, two high court judges ruled that allegations that more than 100 detainees had suffered systemic abuse was supported by evidence that “each detainee was medically examined at various points by doctors and medical operatives under a duty to report ill-treatment”. When the court’s judgment was brought to the attention of the British Medical Association, the organisation insisted it was unable to take action. Since that court judgment was handed down, the number of Iraqi civilians claiming to have suffered severe mistreatment in British military custody is said to have risen to more than 1,100. Will the Destruction of Nahr al Bared be Replicated in Yamouk? Some Palestinian here in Damascus, from the Palestinian writers union with whom this observer has been meeting, including independent researcher Hamad Said Al-Mawed are saying so. Admittedly there are some similarities between the two camps fate. Both among the ‘better’ of the 57 Palestinian refugee camps in the hosting countries, of Syria, Jordan, Lebanon, the West Bank and Gaza Both, one in Lebanon, the other in Syria, were penetrated by salafist-jihadists from other countries. Jihadists from nine countries made incursions into Nahr al Bared, near Tripoli, Lebanon, and as many as 29 country’s salafists invaded Yarmouk in Damascus some discretely over the past several months and a massive attack starting on 12/16/12. Both invading groups were given weapons and largely funded by Gulf countries, primarily US ally Saudi Arabia, and both projects were acquiesced in by the American and Israeli governments. Both camps were quickly surrounded by government forces awaiting orders to expel or kill the infiltrators. Both camps were subject to aerial bombing. Today, many inhabitants of both camps harbor suspicions that hegemonic interests seek to destroy and empty the camps in order to force the removal of the maximum number of refugees from the Levant, part of a project to undermine the Palestinians’ inalienable Right of Return to their homes in Palestine. Over the past ten weeks of intermittent shelling of the camp, more than 40 residents have been killed and each of the Yarmouks 28 schools, six hospitals and 15 mosques have been damaged. The Palestine Red Crescent Society has lost ten ambulances from various rockets and RPG’s. The morning of 12/21/12 saw general calm in Yarmouk, following intense clashes, widespread destruction in some areas and two bombs dropped over the past week. Several hundred Palestinians, from among the more than 100,000 who fled this week risked their lives yesterday by crossing through Syrian army lines during last night to return to what was left of their homes, rather than remain on the cold, wet, windy streets, parking lots and parks. More are returning today. Irrespective of what one might think of the role of the Popular Front for the Liberation of Palestine-GC (PFLP-GC) in igniting the fighting at Yarmouk, and the role of its leader, Ahmed Jebril’s, both have been working around the clock since last Sundays invasion to save the camp and restore calm and security. This observer, while meeting with General Command politburo member, Anwar Raja, felt guilty taking the fellows time because his phones rang nearly nonstop as he tried to solve camp residents problems as best he could, shouting orders to some of the gunmen in his office and others on the phone, cursing some of his men who took what he claims is Gulf money bribes to go home or to switch sides.. All the while conferring with Jebril, Syrian officials, other Palestinian groups, and even some Al Nusra and other salafist groups trying to do a deal to save the camp. Despite efforts of the General Command, Jabril and the organization is persona non grata in Yarmouk and its unclear if the PFLP-GC will be able to return anytime soon. Last Wednesday’s meeting at the Palestine Embassy blacklisted Jebril and his group. Feeling inside Yarmouk is very strong against him yet interviewing some officials of “al Islamiya” and others, it is not clear to this observer what his crimes were. It is true that Jebril hired a few hundred Palestinians in Yarmouk and formed “popular security committees” ostensibly to keep order and “neutrality” in the camp and a number of them are accused of using and dealing drugs and run a bit rough shod if challenged,, but it is not proved that the GC committed murders in the camp or engaged in burglaries and other serious criminal acts. In any case the popular committees Jabril set up have collapsed and dispersed. Reports of an openly sectarian conflict inside Yarmouk do not appear accurate. What one consistently hears from residents is that they want to stay out of the conflict and not take sides. They are acutely aware that various elements want to drag them into the Syrian civil war. There is a wide-spread perception that the past several months of violence against Yarmouk are messages not to support either the rebels or the government or Yarmouk could end up like Nahr al Bared camp in North Lebanon. Ramallah, Dec. 21 (BNA)— Palestinian President Mahmoud Abbas received today a telephone call from British Foreign Office Minister Alistair Bert who reiterated his country’s support to the Palestinian people and their leadership after the international resolution to elevate Palestine’s status to a Non-Member Observer State in the United Nations. The British Minister stressed that his country will continue to exert efforts, alongside its European partners, to achieve peace in the Middle East, Palestine News Agency reported. He pointed out Britain’s constant stance condemning the Israeli settlements on the occupied Palestinian lands, including mainly the settlement projects around Al Quds city, which were announced recently by Israel. The Palestinian President hailed the British stance, calling on the UK to work on ending settlement and to pressure Israel to call off the recently-announced projects, describing that as a red line. He also demanded to pressure Israel to release the confiscated Palestinian taxes money. A mural in solidarity with Palestinian hunger strikers has been painted opposite a protest tent at the International Committee of the Red Cross offices in Gaza. Ayman Shrawna has suspended his 178-day hunger strike for ten days, as he has been promised by the Israeli Prison Service (IPS) that it would review his case and release him by the beginning of next year. He is allowing himself to have only fluids, but has threatened to continue his strike if the IPS fails to fulfill its promises. This leaves Samer Issawi alone in this battle of empty stomachs, continuing his historic hunger strike that has lasted for 145 days. While surfing on Facebook this week, I saw a video my best friend Loai Odeh had shared of the attack on Samer Issawi in an Israeli court. It made me feel sick and angry, but not shocked. “Your humanity and determination is always stronger than their brutality and savagery,” Loai wrote to his friend Samer, whom he grew up with in Jerusalem, and with whom he shared a cell in Israeli jails and was released in the prisoner exchange deal last year. Loai had first thought that Samer was luckier than him to be able return to Jerusalem. By contrast, Loai was expelled to the Gaza Strip from his hometown, where every corner guards his and Samer’s precious childhood memories. Loai spoke beautifully to me about Samer many times, which made me feel spiritually close to him. “Samer is stronger than all these hardships.” Loai keeps repeating these words over and over again as he counts the days of Samer’s mounting hunger strike. I remember when Loai called me last Sunday, saying that it was Samer’s birthday. “He is celebrating his birthday in hunger, in a cold dark cell,” he said after a few seconds of silence that interrupted our call. Despite the grave conditions Samer suffered on his birthday and still suffers, he and all the Palestinian people still have something to celebrate: his indestructible will. He is armed with a determination that makes physical necessities like food meaningless. This steadfastness is more harmful to the Israeli military than any weapon. It drove them to attack him and his family, and to destroy sit-in tents erected in solidarity with him in Jerusalem, especially in his home village, Issawiyeh. We are all proud of Samer, who reminds us that our cause is just. A photo posted on the Facebook page of Shireen, Samer Issawi’s sister. “Seven Israeli occupation soldiers savagely attacked Samer, ignoring his critical health condition and the fact that he was shackled to his wheelchair,” she wrote. His family saw this brutality against Samer, and tried to protect him and prevent soldiers from beating him, but were dragged outside the court. Shireen wrote that the judge of the court was also there, watching idly. Instead of trying to do anything to end this brutality against a sick, shackled prisoner lingering at the edge of death, he ran out of the court. This judge and the IPS should be held accountable for their crimes against humanity. Yesterday morning, I heard Samer’s mother speaking to Palestine Today TV live by telephone. She described how she saw her dying son being beaten. “All he did was try to shake hands with me,” she said. “This might have been the last chance for us to see, touch, or say goodbye to each other.” Her shaking, sorrowful tone still echoes in my ears. She also described how Israeli soldiers raided their house in Jerusalem the same day, broke into Shireen’s room, and kidnapped her. Shireen has done nothing but try to give a voice to her brother. She has worked very hard organizing solidarity hunger strikes and protests. She has spoken to human rights organizations and international media, calling on people around the world to support her brother. But she is a threat to Israel because she is a strong voice of truth. This cold weather makes the hunger strike a lot more difficult. The colder it gets, the more food the hunger striker needs. All our Palestinian political detainees suffer as the IPS refuses to supply them with winter clothes, sheets, and shoes, in attempt to break their will. Israel will never succeed. No matter how and to what extent the IPS oppresses our heroes, they will remain strong and defiant. In Gaza, we have set up a tent to express solidarity with Samer Issawi, Ayman Shawana and all Palestinian political prisoners. Groups of people from different generations keep coming back and forth to the tent expressing their solidarity in different ways. Yesterday, I attended a poetry reading organized by the Islamic University of Gaza, featuring the Egyptian poet Hesham El-Jakh. I could see a group of students holding Samer Issawi’s posters while waving the Palestinian flags. Observing how our heroes inside Israeli jails unite the Palestinian people everywhere makes me proud and happy. Don’t hesitate to do anything you can in support of Palestinian hunger strikers. Your silence gives the IPS impunity to continue its cruelty against our detainees, violating international humanitarian law. Your silence can lead to the killing of our heroes. Act now to end our hunger strikers’ suffering. We want our hero Samer Issawi to stay alive.